The topic of 3D printed guns has been a pretty hot button issue around the world for quite a while, and especially in the US at this time. But rather than give you our opinion on the matter, we decided to include everyone else’s thoughts on the subject of 3D printed guns. 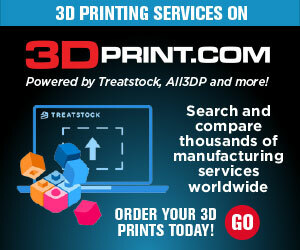 You can find our own latest 3D printer and gun thoughts here and here. We’ll start with a name you are sure to recognize: Alyssa Milano, the American actress from such great TV shows as Who’s The Boss? and Charmed. She is also an activist, and the founder of #NoRA (No Rifle Association), a collective of over 50 artists and activists that’s focused on hacking the gun violence culture through art. Milano wrote for CNN: “Imagine this: the convicted domestic abuser next door tries to buy a gun. He’s turned down because he fails his background check. When he gets home, he opens up his browser, and in half an hour he’s printing out his own undetectable, fully functional plastic gun, with no background check and no record of his purchase. This comes after news of a settlement between the US State Department and Texas open source 3D printed gun designer Defense Distributed…which is run by one Cody Wilson. The settlement states that Wilson and his non-profit organization can publish files, plans, and 3D drawings of guns in any form, are exempted from export restrictions; additionally, the government will be paying nearly $40,000 of Wilson’s legal fees. Now, people who weren’t legally able to purchase firearms before – the mentally ill, felons, adolescents, domestic abusers, etc. – can 3D print their own guns without serial numbers…if they have access to a 3D printer, of course. Last week, the House of Representatives adjourned for their August recess, so any chance of halting the legislation won’t happen soon. “It is not hyperbole to say that this could mean the end of our ability to have meaningful gun violence prevention in America,” Milano wrote. According to the Enquirer, a coalition of gun-control groups – the Brady Center to Prevent Gun Violence, Everytown for Gun Safety, and Giffords Law Center to Prevent Gun Violence – filed an appeal in federal court last week to block the administration’s ruling allowing the designs for Wilson’s 3D printed gun to be published, with more designs to follow. But their bid was dismissed on Friday. The Editorial Board of Bloomberg did point out some of the complications in the legal case, namely about First Amendment issues regarding computer code. So the situation is a little sticky, which hasn’t stopped the debate from getting heated. Legally, the plans and files for these 3D printable firearms aren’t supposed to be downloaded until tomorrow. But, Defense Distributed lawyer Josh Blackman told CNN that plans for over 1,000 AR-15-style semiautomatic assault rifles have already been downloaded, mainly because designs for the guns were already posted online. However, this decision has been blocked in one place – Pennsylvania. The state’s Attorney Gen. Josh Shapiro, who together with Governor Tom Wolf and the Pennsylvania State Police sued Defense Distributed last week, says the company has agreed to block Pennsylvania users from downloading its 3D printable guns after an emergency hearing Sunday night in federal court in Philadelphia. “The harm to Pennsylvanians would have been immediate and irreversible,” CBS Philadelphia reported that Shapiro said yesterday. “Defense Distributed was promising to distribute guns in Pennsylvania in reckless disregard of the state laws that apply to gun sales and purchases in our Commonwealth. Once these untraceable guns are on our streets and in our schools, we can never get them back. In an emergency hearing over the phone this week, Shapiro’s office asked a judge for a restraining order to block Defense Distributed’s website in Pennsylvania, which was granted. However, the move is only temporary, as the company only agreed to block IP addresses from the state for a few days while waiting for a more formal hearing. But other states are joining the fight – yesterday, Washington Attorney General Bob Ferguson announced that he is leading a lawsuit, being filed in Seattle’s federal court in eight states and the District of Columbia to block the court action allowing people to download plans for untraceable 3D printed guns. What are your thoughts on the 3D printed gun debate? 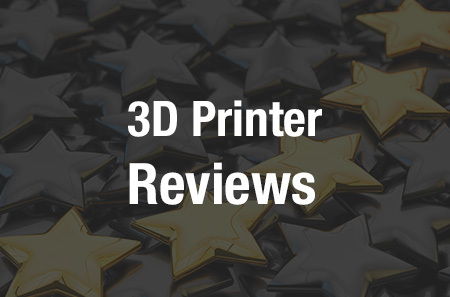 Discuss this story and other 3D printing topics at 3DPrintBoard.com or share your thoughts in the comments below.